I did not know. And I wasn’t sure whether the classmate did either. Maybe our professor and our classmates were convinced. I, however, had the vague feeling that they’d either watched the movie years ago or recently stumbled across an overview recently but remained fuzzy on some key detail. And as Vargas shared this poignant memory, I could Tan’s book suddenly call to me, demanding to be read. I did not feel any urge to read The Joy Luck Club after my grad school classmate name-dropped it (possibly because nothing intriguing was offered about the book). But suddenly, I needed to read it for myself. So, shortly after finishing Dear America, I went out and purchased a copy. I began reading it two days after my mother’s birthday. They are frightened. In me, they see their own daughters, just as ignorant, just as unmindful of all the truths and hopes they have brought to America. They see daughters who grow impatient when their mothers talk in Chinese, who they think are stupid…. they see daughters who will bear grandchildren born without any connecting hope passed from generation to generation. This is a story about connecting those generations through the stories that mothers think daughters should already know, should already feel in their bones. Stories of their histories, of times when mothers were daughters, of joy and luck but also heartache and loss. This is a book that made me think of my own mother. I closed it wondering, Can daughters really ever know their mothers? And, if so, how could we ever find the words to share our understanding? 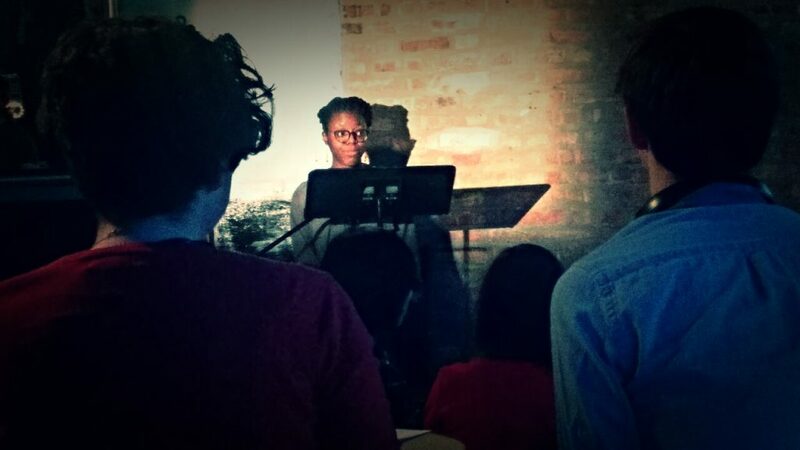 A few years ago, I read a piece on 2nd Story, a live literary event in Chicago. I spent the month before the event in workshops with the other participants. After reading one of my earlier drafts, another participant described back to me her understanding of my mother. I was distraught by how flat, how two-dimensional the description sounded. Even then, I was realizing my mother as a vibrant and complicated woman who was both fascinating and unfathomable. I rewrote the piece, made it stronger. But, even as I performed it, I wondered how accurate it was. A few months ago, my mother lost her closest friend. I attended the wake and someone shared a beautiful story about the two of them — a story I had never heard before. It filled me with both pride — That’s my ma! — and a soft sadness — That’s my ma?! Who is this woman I always almost seem to know? Closing The Joy Luck Club, I wondered what other stories are lost — between my mother and me but also between my grandmother and her. Maybe, out of respect or to keep our own sanity, it is not right for a child to know a parent fully. But I still find myself like Vargas, watching my mother, wondering…. Previous post#TopTenTuesday – What Are You Listening To?